Alexion has won a new European indication for its ultra-orphan drug Soliris (eculizumab) and picked Germany to be its first launch market. Soliris was given the green light by the European Commission to treat adults with generalised myasthenia gravis (gMG), who are anti-acetylcholine receptor antibody-positive. The extended indication for the first-in-class inhibitor was based on the back of data from the phase III REGAIN study and its long-term open-label extension study, which aimed to bring a medicine to an “ultra-rare subset of patients”. John Orloff, executive vice president and head of research and development at Alexion, said: “Our deep understanding of complement-mediated diseases enabled us to develop Soliris for the treatment of patients with refractory gMG. Soliris is already approved in the US, Japan and the EU among other countries as the first and only treatment for patients with paroxysmal nocturnal hemoglobinuria (PNH) and atypical haemolytic uremic syndrome (aHUS). 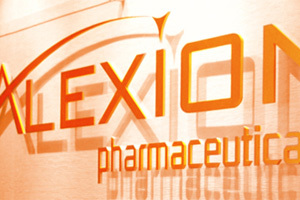 Now, thanks to the new indication, the biopharma group has claimed another first with the drug. While most symptoms in gMG - a chronic and progressive autoimmune disease - can be managed with therapies for myasthenia gravis (MG), 10-15% of gMG patients are considered refractory and are unresponsive to multiple therapies for MG. However, Soliris does come with a boxed warning of ‘life-threatening’ and ‘fatal’ meningococcal infections. The drug’s new indication will be initially launched in Germany, and Alexion said it is “currently evaluating” launches in additional EU countries.